The corpse of my mail-order greenhouse has been taken apart, organized into piles, and is headed for the dump. It was an impulse purchase. In the three days before I bought it, I imagined rows of hot peppers dripping off their stems during late summer—enough to make crimson cayenne sauce for everyone I know and love. I fantasized about a lush and fragrant tomato jungle demanding regular taming. The thing that sold me was the idea of harvesting piles of spinach, beets, winter cabbage, and carrots well into December. Then came the early snow last fall, which happened before I had a chance to reinforce the center support, and it promptly caved in. This spring, I tried to salvage it: bending the flimsy metal frame back up, propping it with scrap wood and tree stumps. It worked just fine for quite a while, and I did grow some hot peppers, a few stringy tomato plants, some cabbage. Fast forward to this fall when the wind picked up and it collapsed again. I am finally deciding the greenhouse is a sad loss. The good news is, the earth inside my greenhouse was a little softer than the surrounding garden, making it easy to tuck away a bunch of garlic cloves last minute. I had been so busy that my garlic went into the ground on November 22nd, as late as I have ever planted. It was nice to dig around, unearthing transparent ghosts of mushy green tomatoes, a couple of shriveled-up peppers (still a bold red), and a few slow-moving earthworms that hadn’t yet ventured to deeper ground. As we move into winter, the selection of local crops begins to dwindle, and foodie panic sets in; I usually begin to hoard local food. What this means for me is I will clean out my storage room, looking for shelf space to stash apples, winter squash, onions, and potatoes. I make room in my cupboards for gallon jars of homemade sauerkraut, eat the remainder of last year’s food in the chest freezer … then stuff it with more. This is a passion/panic that escalates the closer we get to December. Which brings me to the brilliant cooperative efforts of a few notable local businesses doing their best to provide fresh food year round. Saviors among amateur gardeners, local food junkies, and families who enjoy local meals—or all of the above, such as myself. Seven times between the end of October and late January, the alliance puts together a generous goodie box of vegetables for their growing family of 80 members. They send an email the day before delivery, which lets members know what to expect in their bi-weekly bounty. They also include a recipe or two. The shares are delivered to one of five local meeting places, where members can visit with the farmers and pick up their veggies. 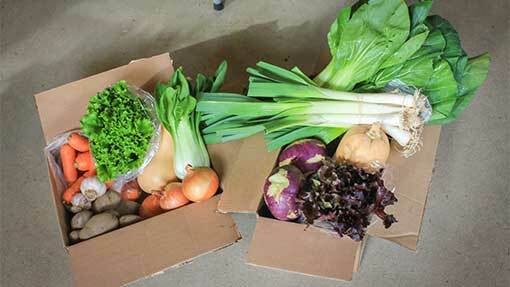 This year I joined the CSA, and I can assure you the boxes are not skimpy! My first share included healthy amounts of butternut squash, garlic, onions, leeks, turnips, parsley, salad greens, carrots, head lettuce, mustard greens, and bell peppers! If you are looking for something with less commitment, there are two local farmers’ markets that run through winter. Both just a short drive, you can make an adventure of it and grab some breakfast at the Tamworth, NH Farmers Market or the Bridgton, ME Winter Farmers’ Market. Tamworth offers indoor holiday markets in November and December at the K.A. Brett School, then moves to every other Saturday starting December 30, in the cozy Tamworth Town House right into April. The Bridgton Winter Farmers’ Market is located at the United Methodist Church on Main Street, open every Saturday from 9 a.m. to 12 p.m., November through April. LEFT: Thanks to a collaboration of six farms in Maine and New Hampshire, Foothill Farm Alliance is able to offer fresh veggies from December through late January. Their weekly deliveries are typically overflowing with fresh goodness. RIGHT: The Thompson House Eatery in Jackson, NH – grows their own micro greens, lettuces, and herbs straight through the winter season directly in the restaurant and works with local farmers to offer amazingly tasty dishes like this herb-roasted farm chicken. Look for great farms there like the Patch Farm from just on the edge of the Valley in Denmark, ME. The folks from the Patch Farm bring greenhouse-fresh goodies like spinach, arugula, lettuce mix, lettuce heads, kale, parsley, and scallions, plus storage roots, forest-raised pork and organic chicken. Both markets offer a surprising variety of local vegetables, cheeses, apple cider, maple syrup, bread, baked goods, and handmade soaps. 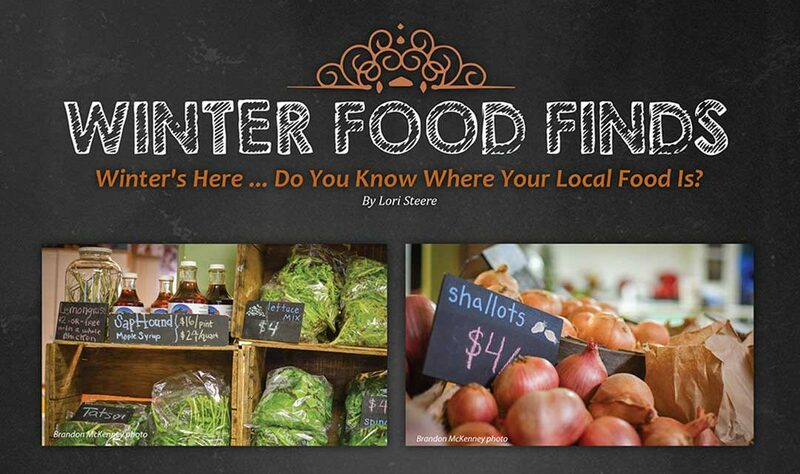 There are also a few local shops that do their best to offer fresh food in the off season. Stop by the Local Grocer Market and Café in North Conway. This health food store and café is committed to organic food, local economy, and local agriculture. The owners even have their own permaculture farm! Mountain Flower Farm provides produce for their market and café for most of the year. They also carry food from nine local farms, keeping a large selection of produce in stock. 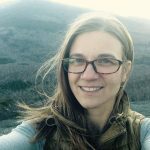 These guys are also bringing local food full circle by offering a compost co-op, and composting the food waste generated by the Local Grocer Café and Flatbread Company in North Conway. Local Grocer happens to be a pick-up spot for the Foothill Farm Alliance CSA. Speaking of the Flatbread Company—well known for their wood-fired pizzas, organic ingredients, and free-range meats— their long list of local products is nothing short of impressive. Some of the local farms they work with for both their daily and special ingredients include the Little Field Farm in Eaton, Sherman Farm in East Conway, Mariel Feider in Brownfield, and the NH Mushroom Company in Tamworth. Additional local products include super-yummy, handmade selections of gluten-free and vegan baked goods from The Peace of Mind Baking Company, plus select items from Tuckerman Brewing, Tamworth Distilling Company, and Cold River Distilling in Fryeburg, ME. While we’re mentioning Fryeburg, another local spot to check out is Spice & Grain. This health food market is the place to stop for a cup of organic coffee, seasonal fruits and veggies, or a steaming cup of homemade soup! 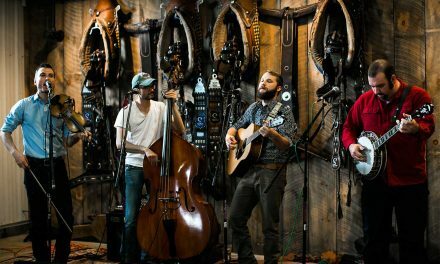 Located in the center of Fryeburg, the owners do their best to offer affordable food from local farms all year. Heading into winter, they stock fresh produce from Pie Tree Orchard, Earle Family Farm, Good Buddy Farm, and Patch Farm. And for the short window, when they just can’t get anything local, they buy produce from Native Maine, which sources foods from all over Maine to distribute. Just down Route 16 in Ossipee, NH is another grocer, Farm to Table Market. They stock the shelves with goodies from over 20 local farmers and producers! You can pick up fruit and vegetables, ice cream, cheeses, meats, fresh bread, gluten-free baked goods, local coffee, and maple products. They also have a kitchen, where they are busy making prepared soups and salads and take-home dinner entrées. While in Tamworth, stop in for a bite at the Tamworth Lyceum or The Other Store on Main Street for some fresh, local eats. Mountain Heartbeet in Effingham, NH, offers veggies to the community through a CSA (Community Support Agriculture) Program that runs for 15 weeks in the summer as well as three “stand alone” optional fall bulk vegetable shares, one in October, another right before Thanksgiving and new this year – one more in December. Mountain Heartbeet is also a year round vendor at the Wolfeboro and Tamworth Farmers’ Markets, and provides veggies to a few area restaurants. In the winter you can expect to find Mountain Heartbeet stocked up with greens, root vegetables, cabbage, onions and garlic. 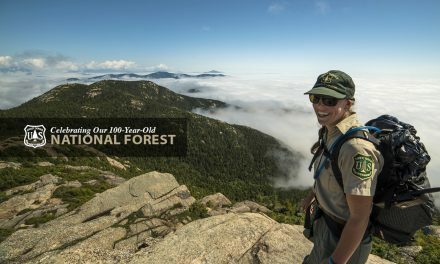 One very interesting business I have discovered is the NH Mushroom Company in Tamworth, NH. 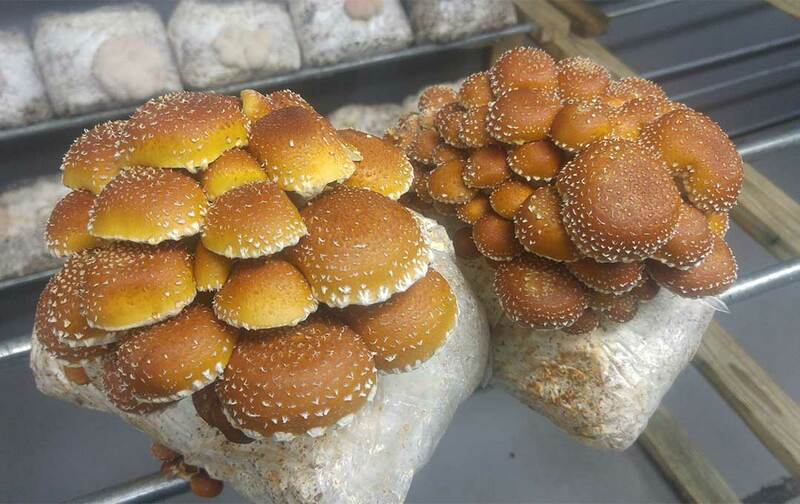 They grow mushrooms indoors all year. These guys sell from their farm, at Local Grocer in North Conway, and other health food stores in Concord and the Seacoast. They can also be found at the Tamworth market throughout the year. Besides growing eight different kinds of mushrooms, including chestnut, king oyster, lion’s mane, and many other oyster varieties, they also offer free tours every Sunday at noon at their farm, as well as wild mushroom ID and foraging classes in warmer months. White Gates Farm, also in Tamworth, keeps their farmstand open year-round. You can find all kinds of fresh goodies from their greenhouse, such as organic lettuce, microgreens, Asian table turnips, arugula, kale, and plenty of fresh meats to choose from. Give Heather or Hank a call to ask about their cool “Cut-On-Contract” plan. You can get a weekly email letting you know which fresh veggies will be available for pick-up later in the week. The email also includes information on a weekly meat special! 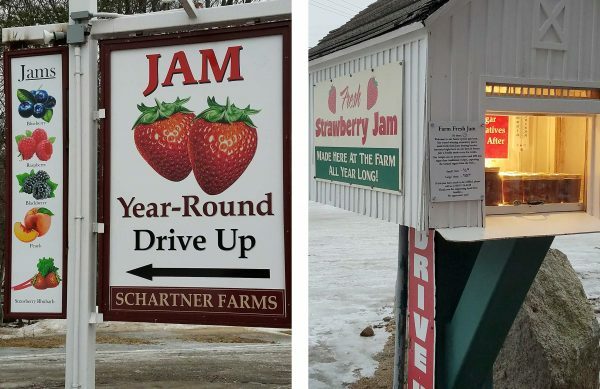 Schartner Farms​, ​on Westside Road in North Conway, continues to a offer a​ year-round honor system​ “drive-through” for​ ​jams​ ​and jellies​ produced and packaged entirely on the property.​ The iconic farm​ ​​is well-known for​ ​pick-your-own strawberries ​in late June and July. 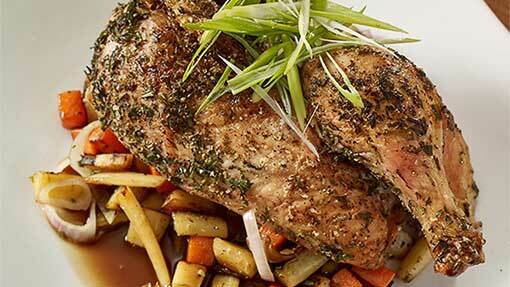 If you just don’t feel like cooking … or shopping … treat yourself to a meal at Thompson House Eatery in Jackson, NH. This family-owned and operated restaurant located in a historic 200-year-old homestead has gone above and beyond, growing 85 percent of their restaurant produce in their five-acre garden. Owners Kate and Jeffrey are celebrating their first year with this business, and are already planning to revive their heirloom orchard and add a farm stand next summer. For the winter, they plan to grow micro greens, lettuces, and herbs in the basement of the restaurant. They are even working with local farmer, Tucker, from Weston’s Farm in Fryeburg, ME as one of their main growers for next summer. I counted seven farms mentioned on their menu, which changes regularly. Offering plates like “Fall Kale & Brussels Sprout Salad,” “Housemade Pork Hill Farm Kimchi,” and “Herb Roasted Farm Chicken,” I can’t wait to check this place out. These people even list “love” as an ingredient in their made-to-order apple bourbon crisp. It may be cold outside, and that blanket of glittering snow is covering the garden. The shriveled stems of my raspberry brambles poke up through the snowfall, swaying like lonely dancers in the wind. 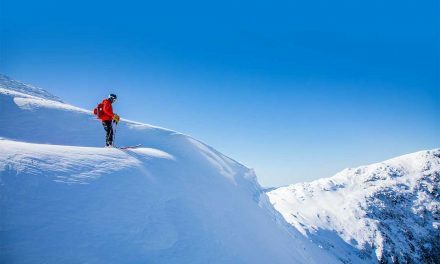 After a day of skiing, hiking, snowshoeing—whatever keeps your blood flowing in the cold—rest assured, the Mt. Washington Valley has plenty of fresh food to sustain you!